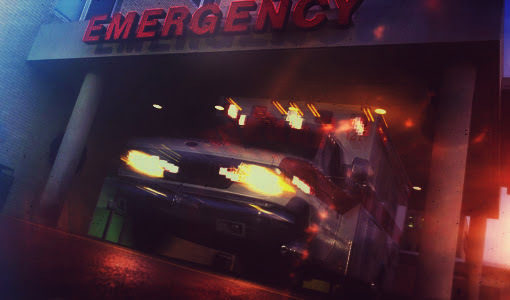 When the ambulance arrives in the middle of the night, you know that the loved one on the stretcher will receive everything they need upon their arrival at the hospital. The paramedics bundle their patient with blankets and slowly wheel the gurney toward the door. You have two minutes to throw a few things into a bag. We got really good at this. Our first experience came only three days after Abby’s initial discharge home. She’d awakened to nurse around 3:00 am but had seemed drowsier than usual. I took note of it, but after all, it was 3:00 am. She woke again at 5:30 am with a soft wail, and I got nervous. I tried to nurse her but quickly found she couldn’t breathe and nurse simultaneously. Her tired blue eyes stared up at me. My husband flew out of bed and grabbed the pulse oximeter. Sure enough, she was 61 (normal is 95-100, normal for Abby at this point was 80-85). We scrambled around, the phone in one hand, baby in another. Oxygen. Overnight bag. Grammy coming for the kids. Our little Corolla rocketed down the back roads faster than any ambulance could have transported us. Looking back, we now know that if we’d waited for the paramedics, we would have lost her that night. In the two minutes I took to pack for myself, I jammed my cell phone into my coat pocket and threw a phone charger, medicine, a sweatshirt, and underwear into Abby’s already over-stuffed diaper bag. When the helicopter came, I had to leave the bag behind in order to make the weight limit to ride with Abby. Nothing in that bag mattered more. I’m posting a list of TEN ITEMS TO PACK IN AN EMERGENCY of essentials that I’ve used, but your list will likely differ. This basic list is not all-inclusive, but if you’d like my full EMERGENCY PACK CHECKLIST, I’m happy to send it to you as part of the FAMILY CRISIS PLAN when you enter your email address. I also encourage you to prioritize all items in the event that you don’t have enough time to pack everything. Occasionally the patient must forego the luxury of patience. This is so important in so many seasons of our lives! Having a list like this can help bring focus to a frantic moment. Thanks, Beth! Thank you Sue. I am so glad you can find this information useful.